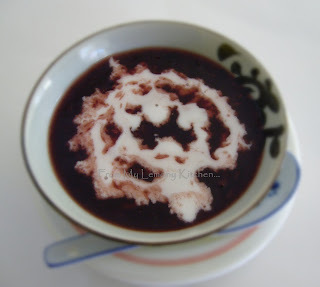 In a saucepan, place the pulut hitam with at least 3 cups of water. Add knotted daun pandan. Bring to boil and simmer until the pulut break-up (just like porridge). Add sugar. Serve with coconut milk.